For shopping fun, head to Chatham Pier and Fish Market or The Brewster Store. Explore the numerous day-trip ideas around Provincetown: Sandwich (Hoxie House & Heritage Museums & Gardens). Spend the 3rd (Wed) surrounded by wildlife at Cape Cod National Seashore. On the 4th (Thu), hike the day away at Cape Cod Rail Trail. 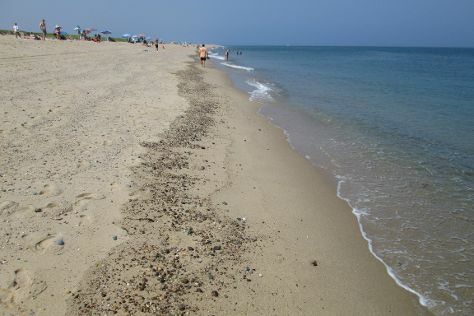 There's still lots to do: enjoy the sand and surf at Race Point Beach, look for gifts at Marine Specialties, see the interesting displays at Pilgrim Monument & Provincetown Museum, and get lost in a book at Provincetown Public Library. To find other places to visit, ratings, and tourist information, refer to the Provincetown vacation builder. Use the Route module to find suitable travel options from Woonsocket to Provincetown. In August, daytime highs in Provincetown are 77°F, while nighttime lows are 63°F. Finish your sightseeing early on the 4th (Thu) to allow enough time to travel back home.